WT Group kicked off this year’s IAPD/IPRA conference in Chicago with a Winter Wonderland Reception, held at The Tavern Club at 333. 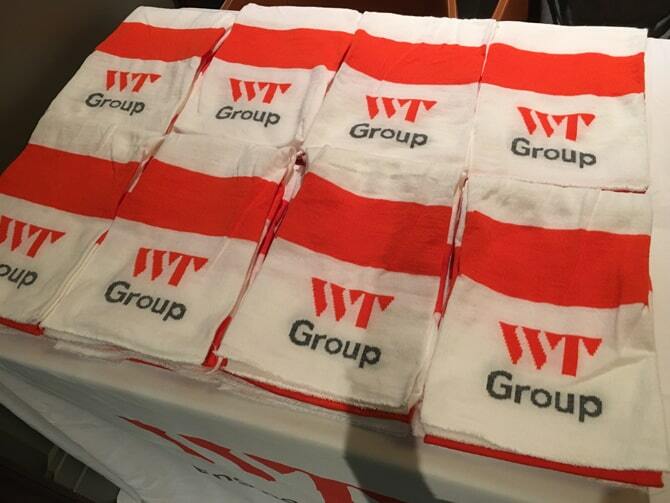 This is the third year that WT has entertained its clients in advance of the conference, and this year the event was steeped in history with a unique, newly renovated venue. Not only does The Tavern Club at 333 offer amazing views of the Chicago Skyline, Chicago River and the Magnificent Mile, but it is also part of the rich history of the city. Opened in 1928, the club has had internationally renowned architects, politicians and sports stars among its members including Frank Lloyd Wright, Mayor Richard J. Daley, Carl Sandburg, and William Wrigley. This year, over 100 clients and WT leaders attended the event. 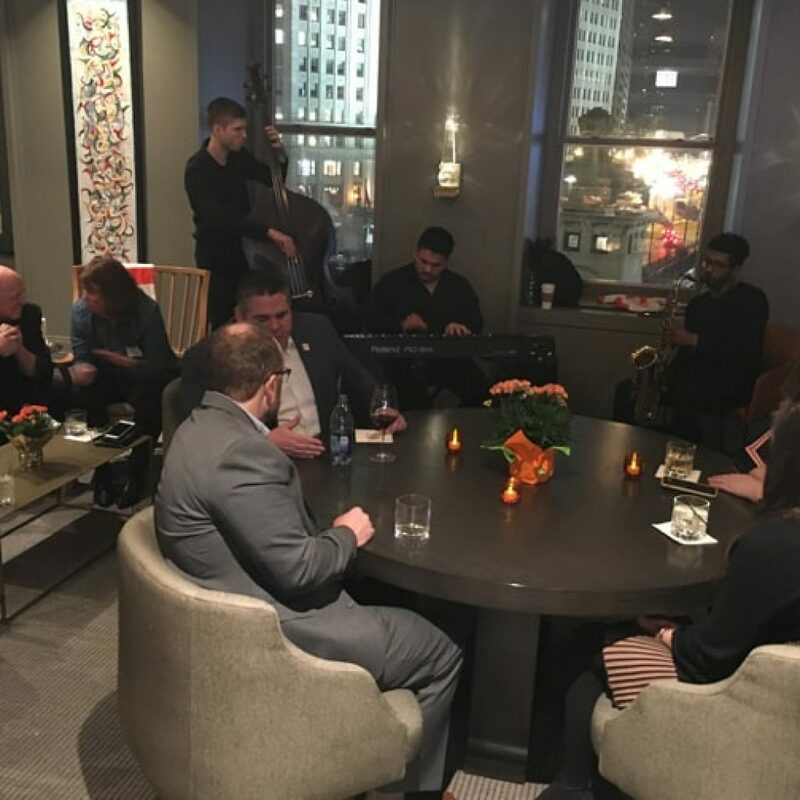 While networking and catching up with friends old and new, guests were entertained by a jazz trio from Columbia College. 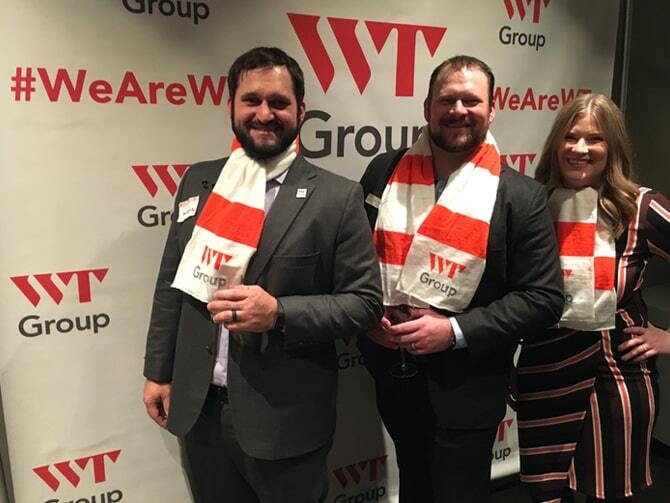 To supplement Chicago’s winter weather, attendees were given orange and white scarves branded with the WT logo to keep them both warm and stylish! The highlight of the evening was a check presentation to the National Association of Park Foundations for their Swing 4 EveryBODY program, a campaign to install accessible swings for disabled individuals in local parks. It was a fitting contribution, given that the IAPD/IPRA conference is the premier state conference for parks and recreation, forest preserves and conservation agencies in Illinois. 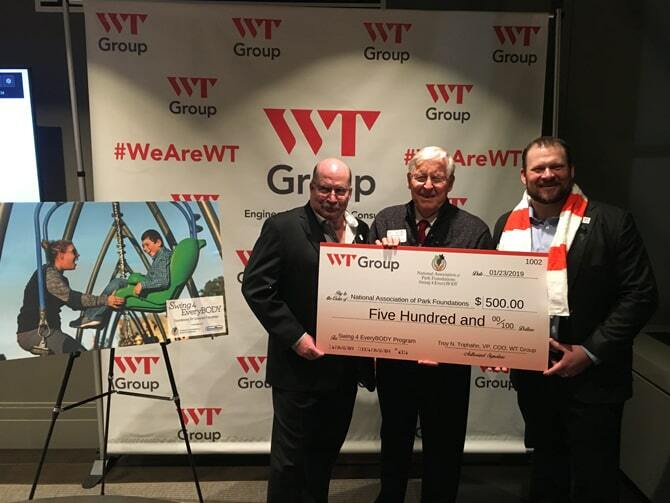 The WT Group provides clients with a single-source engineering solution to help maintain the integrity of all projects from start to finish. 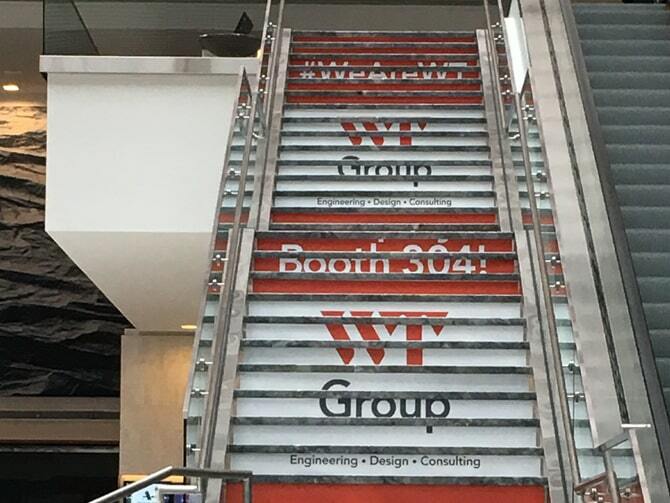 With nearly 50 years of experience, WT Group’s highly skilled engineering, design and consulting teams ensure consistency, clarity, and accuracy in the most cost and time-efficient manner.